The 4x100 relay team, Mariah Harter, Christiana Hicks and Jake Nash all earned sports in the NAIA Championship with personal-best and record-breaking performances at Little State. On Apr. 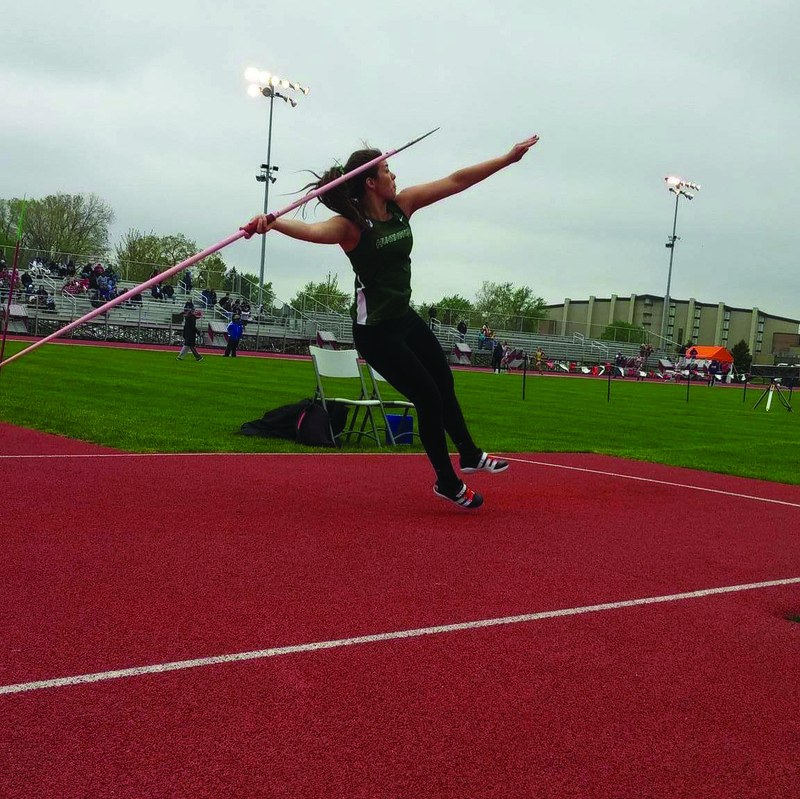 16, the men’s and women’s track teams traveled to Indiana Wesleyan to compete in the Little State Championships. Five Foresters’ efforts qualified them for the NAIA Outdoor National Tournament. Mariah Harter, a freshman, outran her opponents in the 200-meters, breaking a twenty-five-year university record and winning a spot at Nationals. Harter teamed up with Nicole Pennington, Samantha McCoy and Christiana Hicks to qualify for Nationals as the 4×100-meter relay team. Their race set a new school record and placed them third amongst their competitors. Harter said she and her teammates have pushed each other all season to be their bests and to improve each meet. Hicks was the top finisher in the triple jump, qualifying for Nationals. She competed in the same event in at the NAIA Indoor National Championships in early March and earned All-American honors for her efforts. She finished 8th amongst her indoor competitors. For the men, senior Jake Nash recorded a personal-best 7’-0.25” performance in high jump. The leap earned Nash both first place and a trip to Gulf Shores. Nash qualified for the same event in the 2015 outdoor Nationals, where he finished 16th with a 6’-9.25” jump. Nash, who will return next season for the indoor season, was also named the Crossroads League Field Athlete of the Week for his outing at Little State. Other point-receivers included Jean Donaldson in javelin and hammer, Christine Sparks in the 800 and 1500-meters and Kate Capkovitz in the 400-meter hurdles. Austin Presnell scored in the 3,000-meter steeplechase, Tyler Herber in the 5,000 meters and Kai Foday in javelin. Both the men’s and women’s Little-State titles went to Indiana Tech. Until then, the five will focus their workouts, as Harter said, “one day at a time” toward a late-May performance. The qualifiers will compete in the NAIA National Championships in Gulf Shores, Ala. May 26-28.